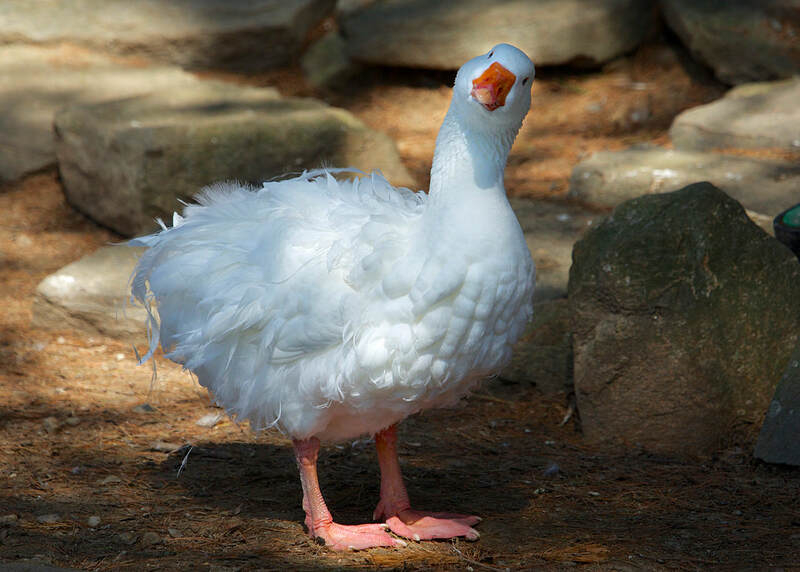 Medium-sized geese with long, white curly feathers. The feathers on their neck are smooth and may be grayish-brown. There are varieties in all gray, buff and saddleback. Their eyes are blue and legs and bill are orange. They weigh between 10 and 15 pounds. 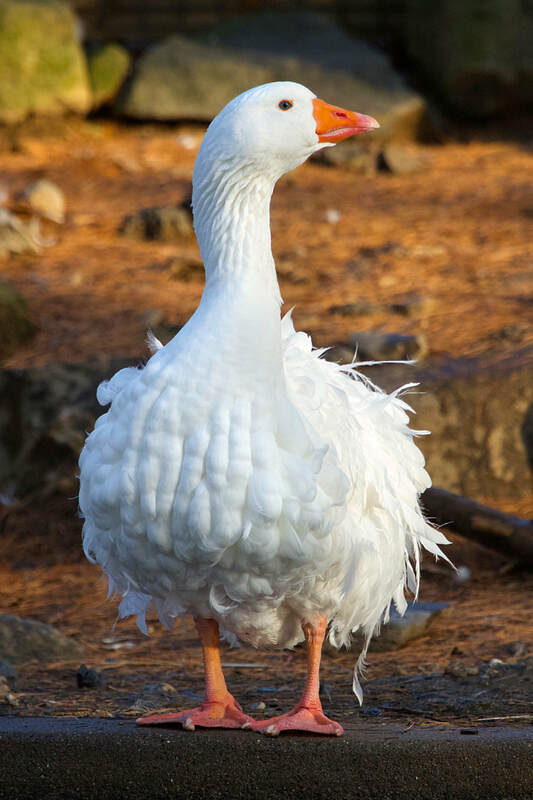 Introduced into Britain in 1859 from the countries surrounding the Black Sea and the lower Danube; now becoming a popular family farm goose in the United States. Grains, seeds, insects and grasses. Lay between 30 and 50 eggs between February and June. Sebastopol geese are known to be good parents. Listed as Threatened by the American Livestock Breeds Conservancy. Come see these unique geese in our New England Farmyard Pond. They have a curled feather mutation which causes the shaft of the feather to split and curl, giving the bird a fluffy appearance. This trait makes flight impossible. Like most domestic geese, Sebastopols are descended from the Greylag goose. Originating from southeastern Europe, the breed was prized for the use of their feathers in pillows and quilts.